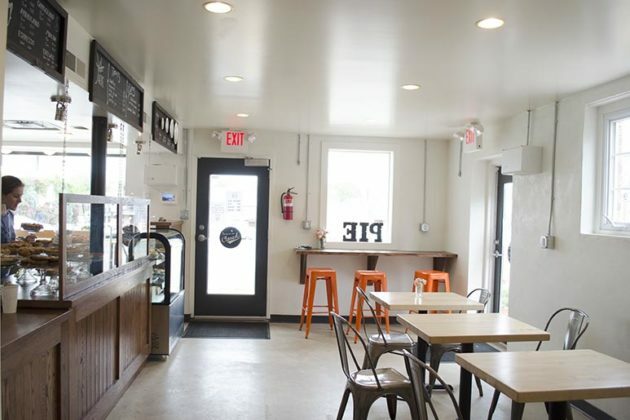 A new pie store is now open along Lee Highway. 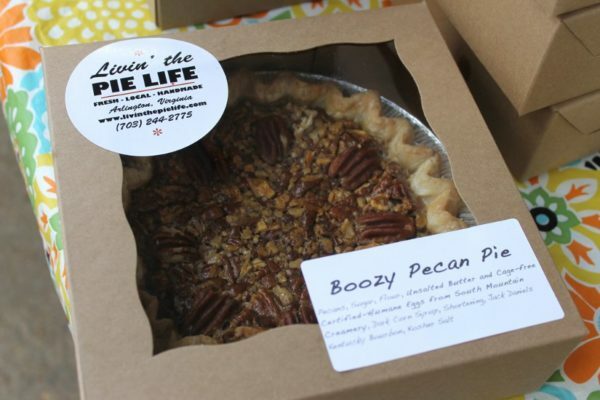 In April, two Arlington moms, Wendy MacCallum and Heather Sheire, opened Livin’ The Pie Life on 2166 N. Glebe Road. “We are happy to be here, it’s our dream home,” said MacCallum. 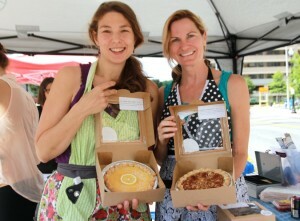 Before opening up their store, MacCallum and Sheire sold pies at the Clarendon and Westover farmers markets. Sheire also has a food blog that she said has contributed to the growth of the business. They sell both savory and sweet flavors; customers are able to choose from a variety of sizes and flavors, which rotate seasonally. Large sweet pies range from $24-36. Some flavors include strawberry rhubarb, Wendy’s Key Lime Pie or their most popular flavor, apple. 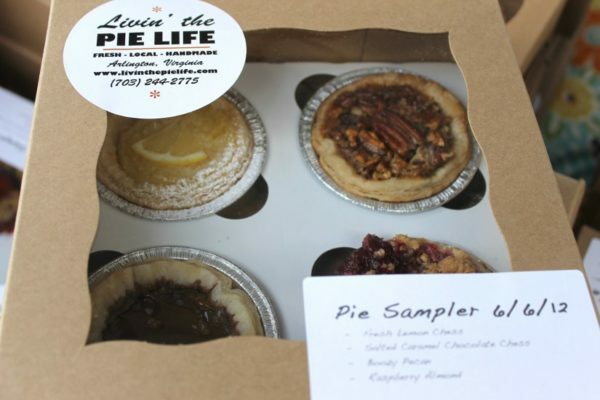 Livin’ The Pie Life makes certain that the ingredients they use to bake the pies of the highest quality, with fresh, locally-sourced fruit in season or top quality frozen fruit out of season. 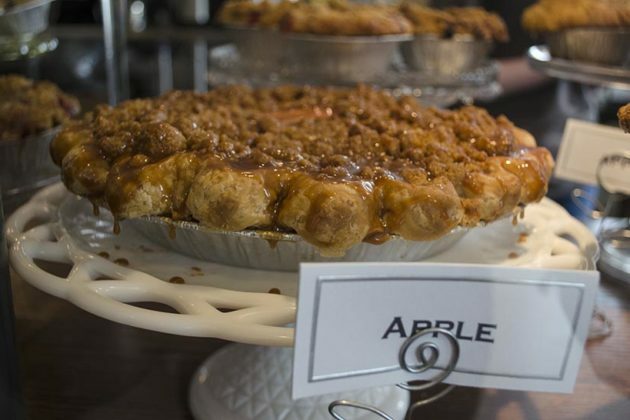 One of their biggest mottos is that “if it’s in the name it better be in the pie,” said Sheire. 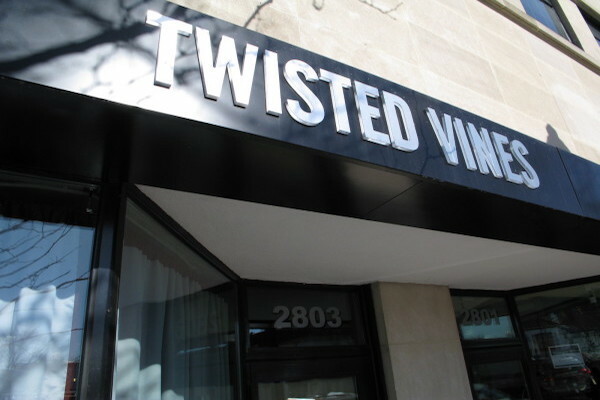 In addition to pies, the store offers coffee from Virginia-based Red Rooster Coffee. Plus, there are t-shirts for sale. For both MacCallum and Sheire, one of the most important things to them is the strong bond that they have with their customers. “The most rewarding thing is that we’ve met really great people who have become consistent customers at the shop,” said Sheire. 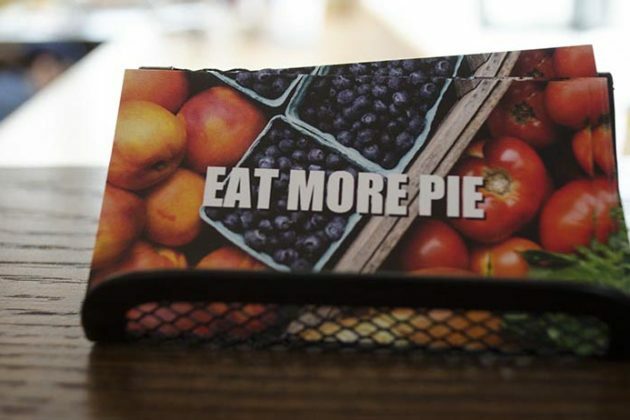 For die hard customers the store offers a Pie of the Month Club — $370 for a year’s worth of pies. 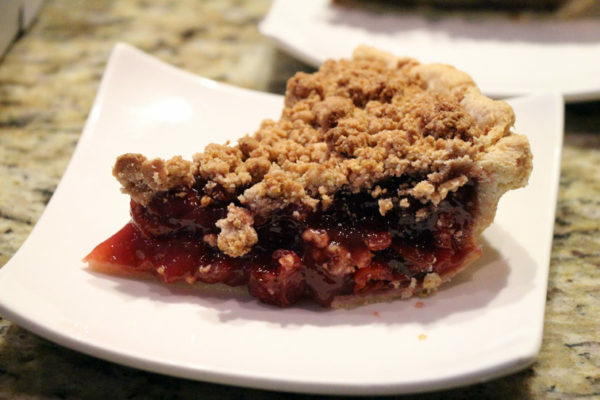 Aside from just dropping by the store, customers can order pies online for delivery or pickup. 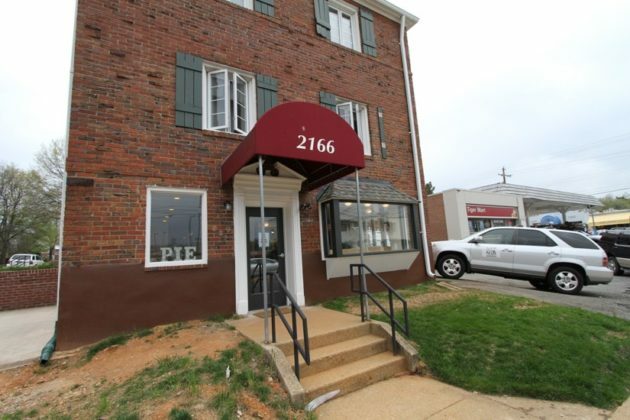 Located at 2166 N. Glebe Road, near the intersection with Lee Highway, the store is the bricks-and-mortar manifestation of what has up until now been a business that sold its wares primarily at local farmers markets. Owners Heather Sheire and Wendy MacCallum, two Arlington moms who founded the company in 2011, says they don’t have an opening date set yet — but they’re close. 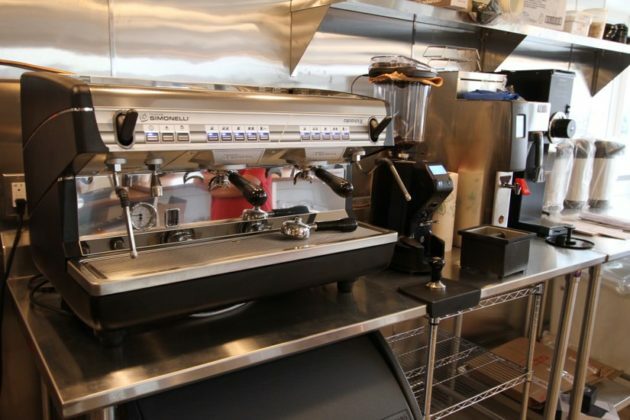 The store just added a new espresso machine and will be serving Virginia-based Red Rooster Coffee. That’s of course in addition to cookies, cakes, pies (savory and sweet) and other pastries. 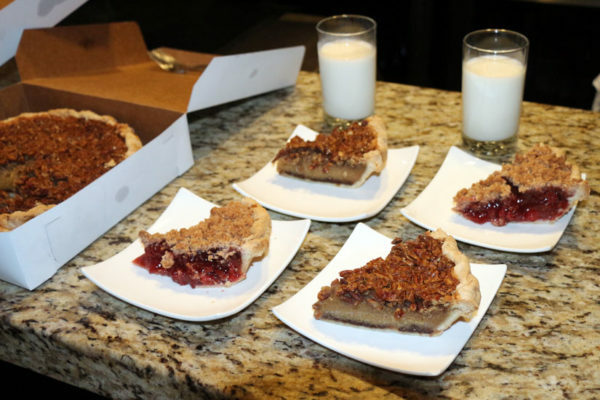 The pies will be served in regular and individual sizes, plus by the slice. 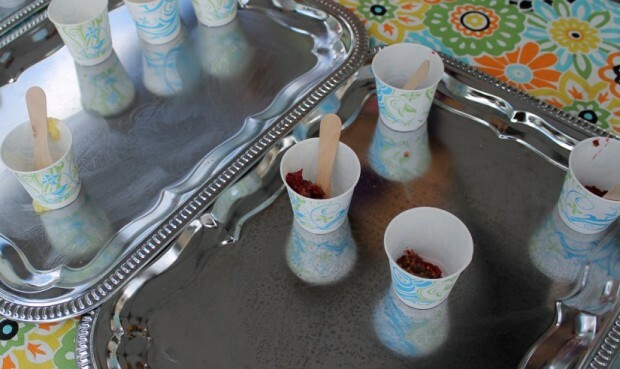 There are also plans to serve ice cream later this year, once a suitable vendor is selected. The store is awaiting a couple of county permits before opening. 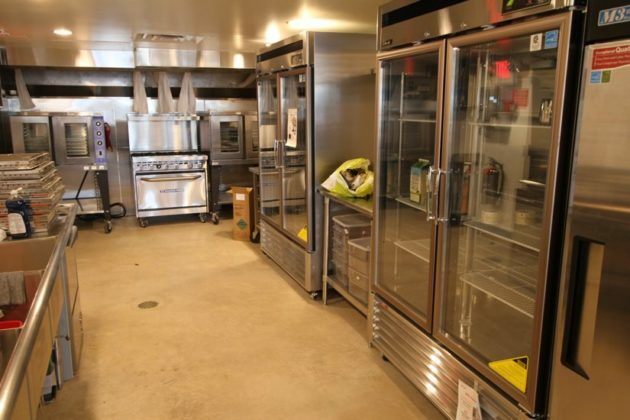 It includes a sizable kitchen, a counter service area and a seating area for customers. Sheire and MacCallum will still be selling pies at the Westover Farmers Market, and on Saturday will begin serving the Courthouse Farmers Market for the first time. 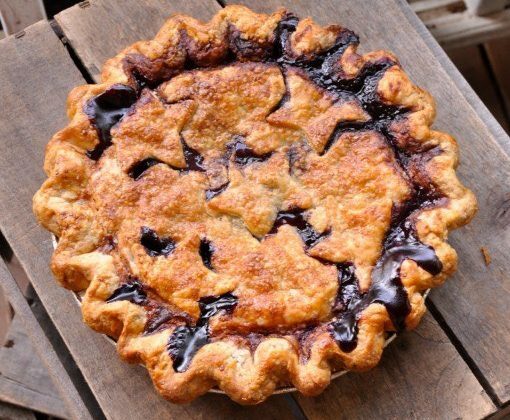 The company only offers whole pies at farmers markets. 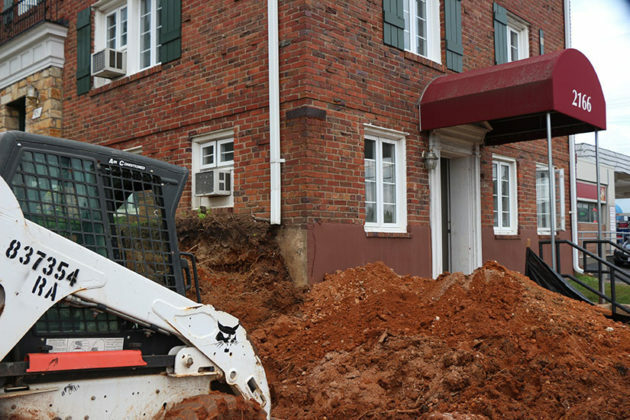 Construction has started for a new pie store planned near the intersection of N. Glebe Road and Lee Highway. Owners Heather Sheire and Wendy MacCallum hope to open the new store by the end of the year, Sheire said. It will be located at 2166 N. Glebe Road. 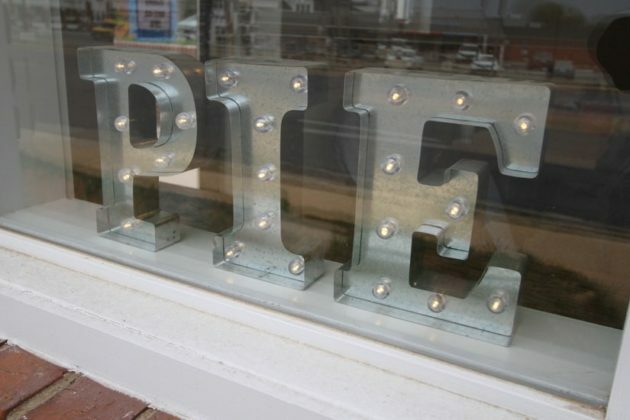 Once the store is open, customers will be able to watch the pies being made while getting to enjoy a slice of their favorite pie with friends on a new outdoor patio. The store, while still in a design phase, is planned to be a place for people to relax with friends, Sheire and MacCallum said. 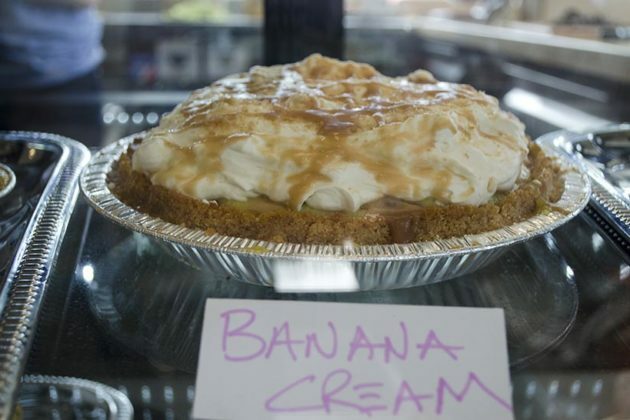 The two also want the shop to be convenient for their customers and plan to provide parking, allowing people to be able to run in and grab a take out pie. Sheire and MacCallum currently sell pies at the Clarendon and Westover farmer’s market, and customers can also order pies online. 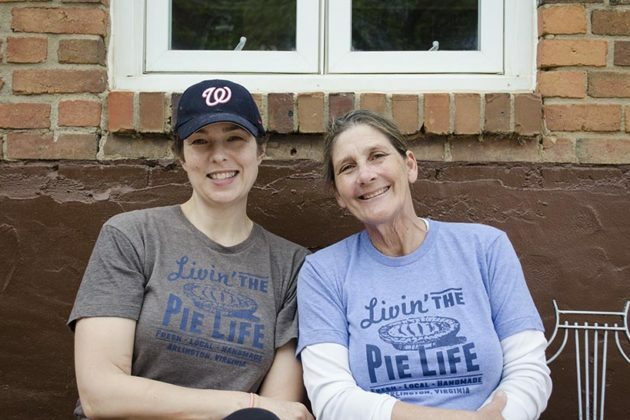 The two also have a partnership with House of Steep at 3800 Lee Highway, where customers can pick up pre-ordered pies from 2-7 p.m. on Fridays. 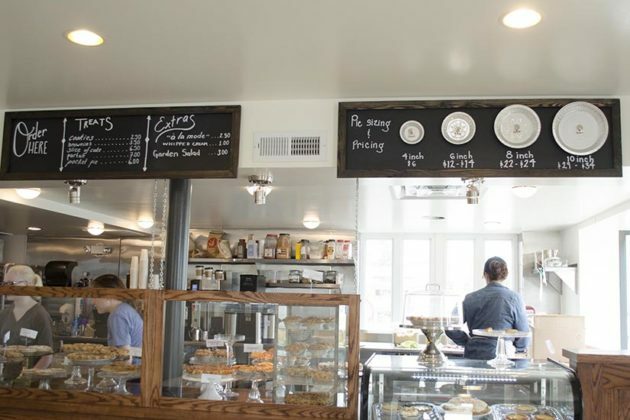 On Saturday, the two will also be doing a pie and tea pairing at House of Steep. For $7, people will be able to get a couple pieces of pie with teas that pair well. The two decided to open a store after the business expanded past their current business model of delivering and selling at farmer’s markets. 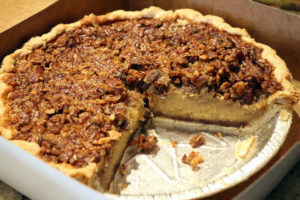 At the new store, Sheire and MacCallum will bake classic pie recipes, including customer favorites Apple Pie, Apple Caramel Crumb Pie, S’mores Pie and Boozy Pecan Pie. 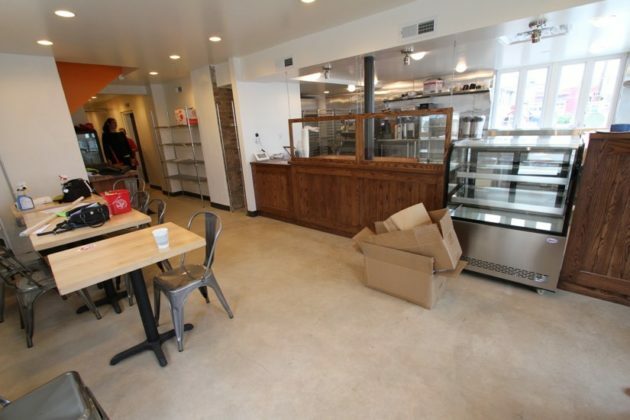 The two bakers will also be able to bake more savory, cold and cream pies. “People will be able to come in for something for breakfast, for something for lunch and for something for dinner,” Sheire said. 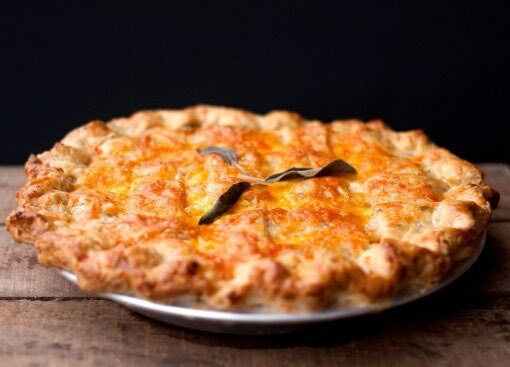 For the savory pies, the pair plans to include their Mac and Cheese pie, their Tomato pie and their Thanksgiving pie. While popular, these pies are harder to bake for the current setup of delivery or a farmer’s market sale, Sheire said. But having a store means the bakers can make the pies and sell them in the same place, ensuring the pies maintain their quality. Sheire and MacCallum say quality is a key ingredient; they only use fresh materials and plan to have their own small organic garden at the store. A pie like theirs cannot be found in a supermarket, Sheire said. Good pie is meant to be fresh and only last a couple of days. That’s why there aren’t many good national pie companies, she said. “Because pie something done by hand and on a small scale,” Sheire said. 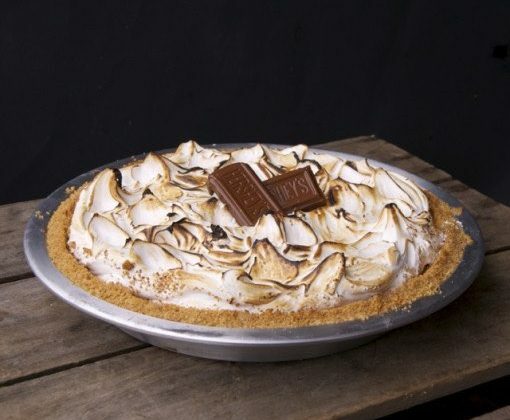 The bakers try to make everything themselves, including making their own marshmallow for the S’mores Pie. 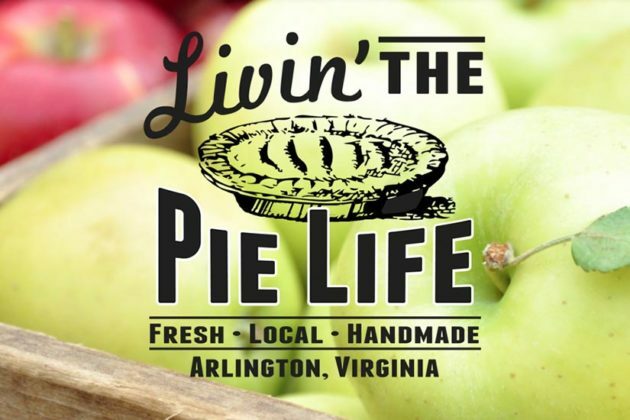 Until the store opens, customers can continue to order pies online or stop by Livin’ the Pie Life at the Clarendon and Westover farmers market. The pair is not able to attend the markets every week, but customers can sign up for their mailing list or follow them on Facebook to find out when Sheire and MacCallum will be at the markets and what pies they will have. 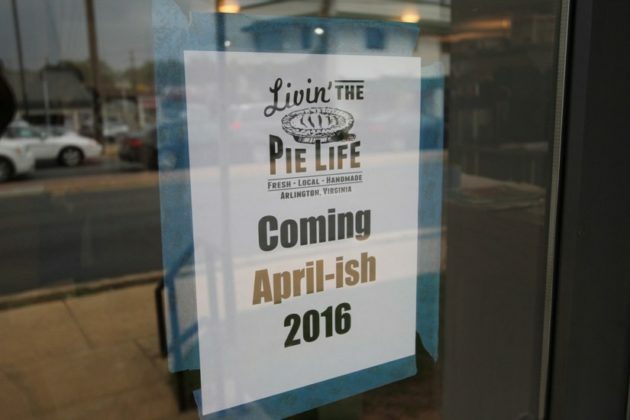 “We are living the pie life,” Sheire said. 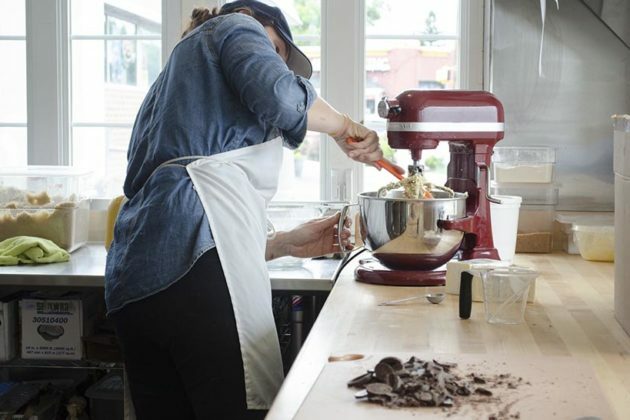 After working in the kitchens of restaurants for 20 years as a pastry chef, Sol Schott had lost why he decided to make a career out of baking in the first place. Two months ago, after eight years of baking for the five restaurants in Open City‘s restaurant groups, Schott quit and struck out on his own. 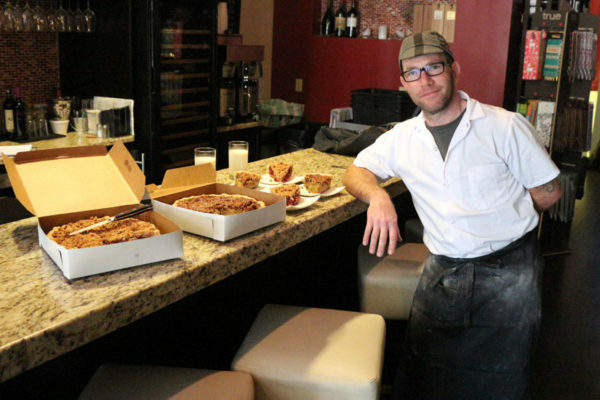 He started Acme Pie Co. and began selling pies wholesale to local restaurants, as well as taking online orders from customers. Before he started baking for high-end restaurants and cafés, in his first job after culinary school, Schott sold cheesecake and biscotti to small cafés and coffee carts around the University of Florida in Gainesville, where he used to live. He used that model to inform his business this time around. Although he had restaurant industry connections and a reputation from the kitchens in which he worked, he said he tried not to lean on those too much. 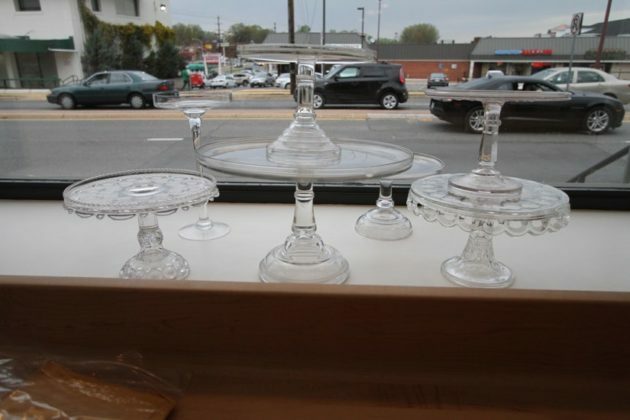 Schott arrives at his Columbia Pike workspace at 3:00 a.m. every day and starts baking immediately. The next seven or so hours are spent crafting his seasonal, locally sourced pie recipes. He’ll call his clients at about 11:00 a.m. and start making deliveries at about 1:00 p.m. He currently offers five pies: baked coconut custard, pumpkin with candied ginger, vegan apple cranberry, and the two pictured here and sampled by ARLnow.com, sour cherry with streusel topping and pecan, maple and belgian chocolate. Schott sells to local restaurants like Java Shack (2507 N. Franklin Road), Luna Grill & Diner (4024 Campbell Ave.) and Copperwood Tavern, among other locations. 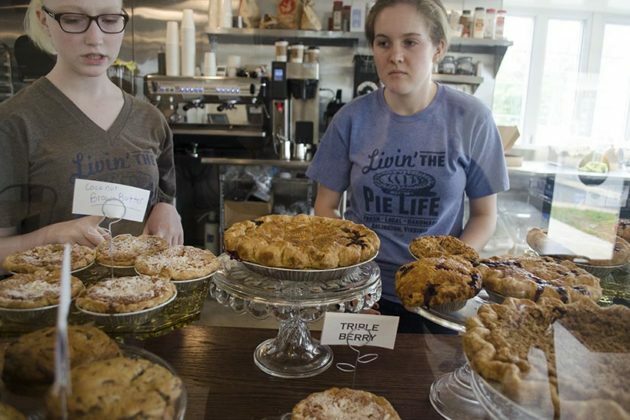 Westover Market carries full pies, as does Stachowski’s in Georgetown. 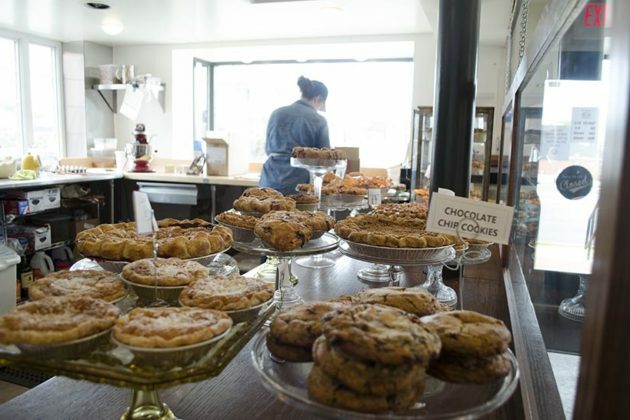 He also ships pies — at a two-pie minimum for each order — and can arrange spots to have customers pick up the pies locally.